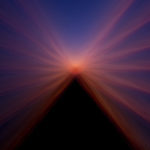 The Pyramids In The Sky series was inspired when my wife and I visited the Mayan Ruins of Chacchoben while on a cruise in 2015. 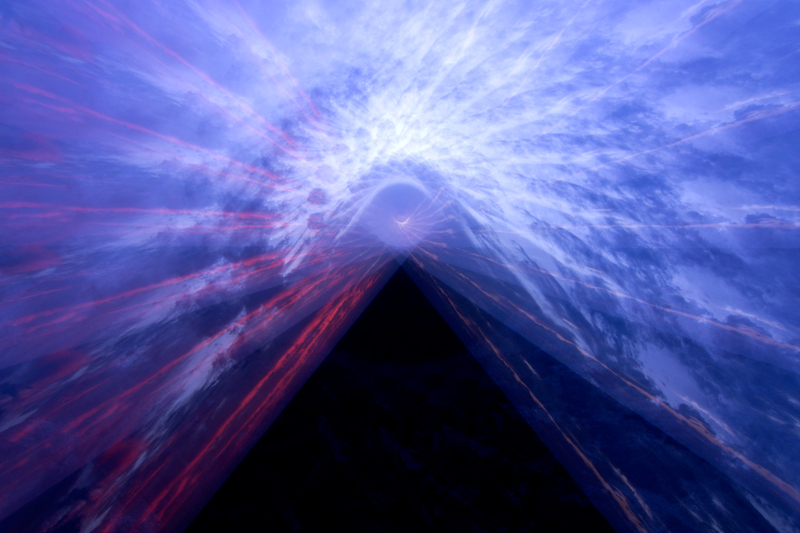 I have always been intrigued by ancient civilizations and how they were able to build these massive structures, seeing the pyramids in person was an inspiring experience and it got my mind racing thinking of how to create some Light Painted Pyramids. 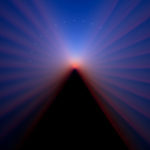 The next night we were back on the ship and I was sitting on the balcony just after sunset when inspiration hit me. 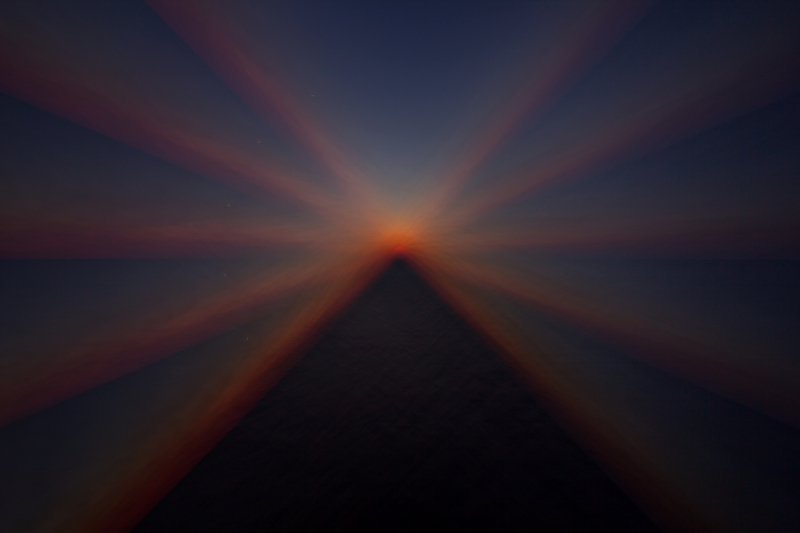 The ship was out to sea so the deep water was dark, the horizon was clean, and the dusk sky had an orange and blue glow to it. 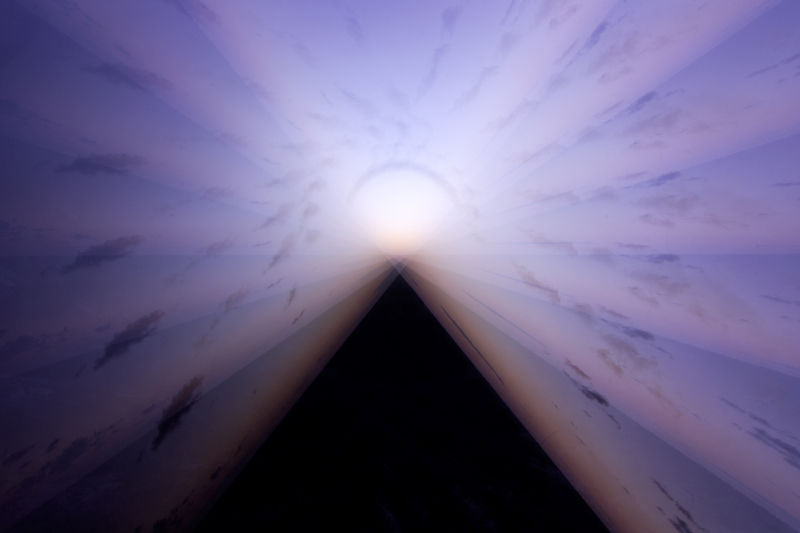 Luckily I had brought along my CRT (Camera Rotation Tool) so I set it up and started trying to make a pyramid design using nothing but the available ambient light. 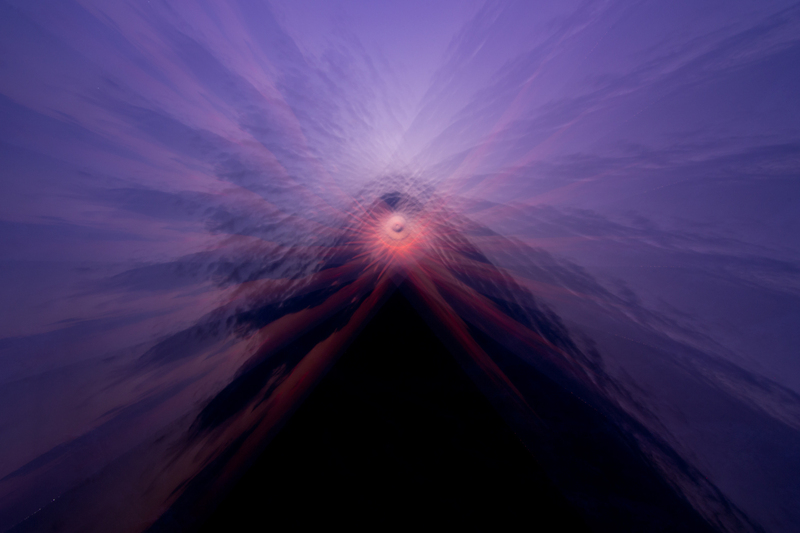 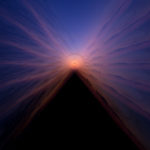 I used the dark water to create the pyramid and the dusk sky provided the rays of light. 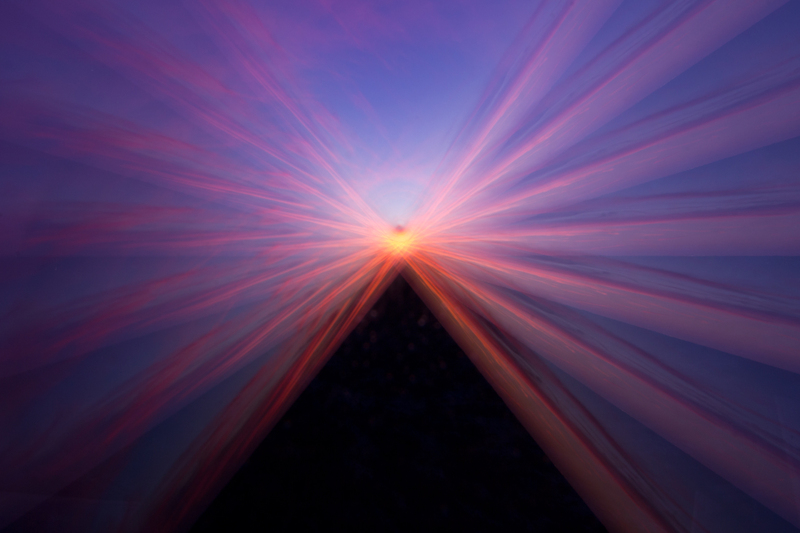 I was blown away by the result on the back of my camera! 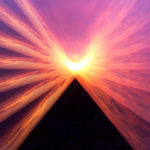 The image looked just like a pyramid with rays of light shooting out of the top, it was even better than I had envisioned it. 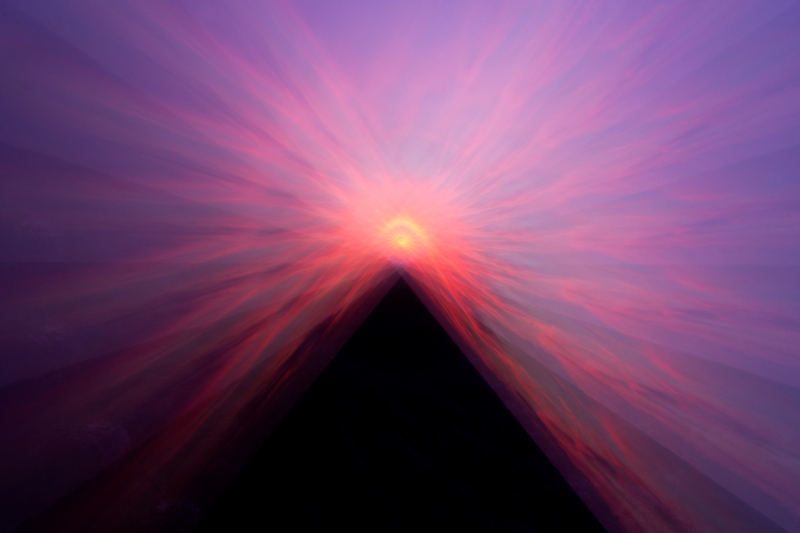 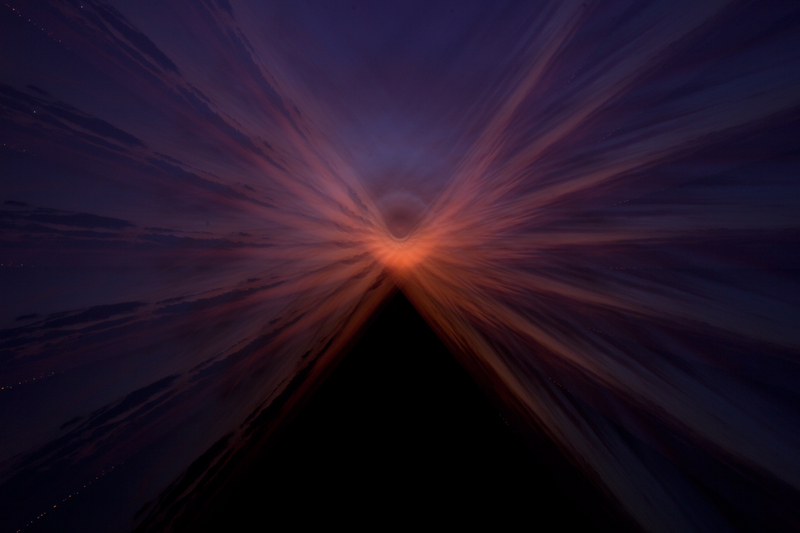 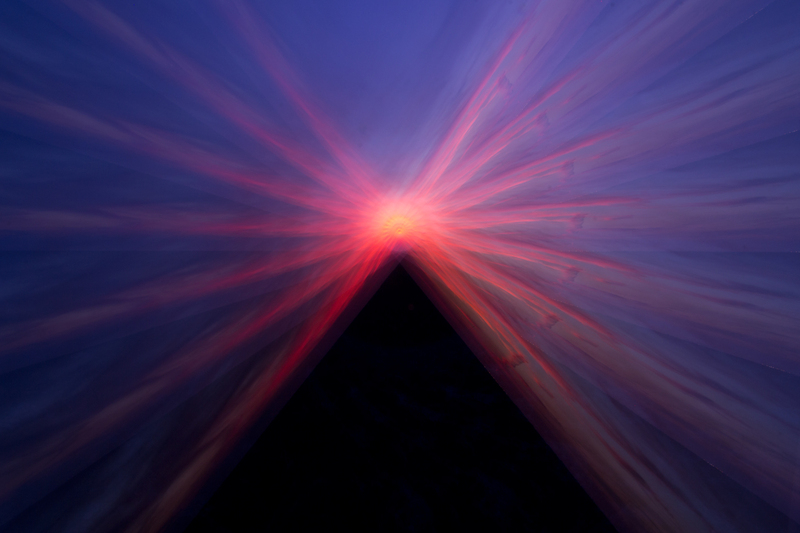 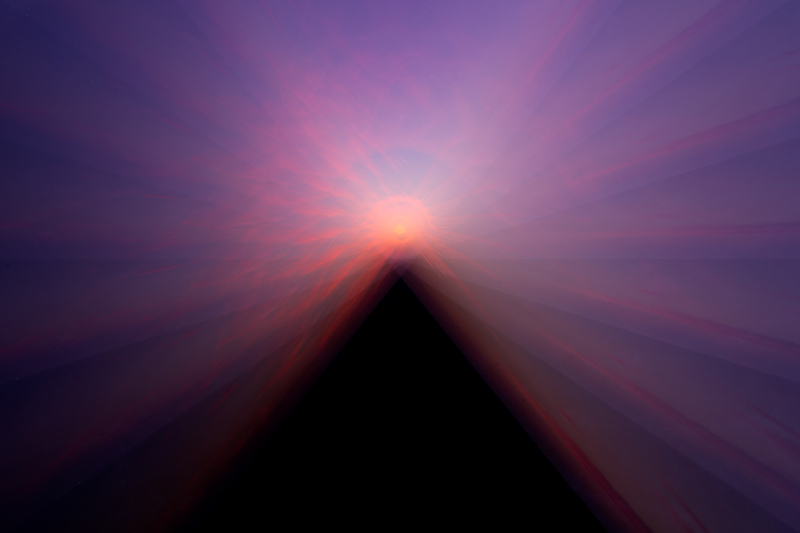 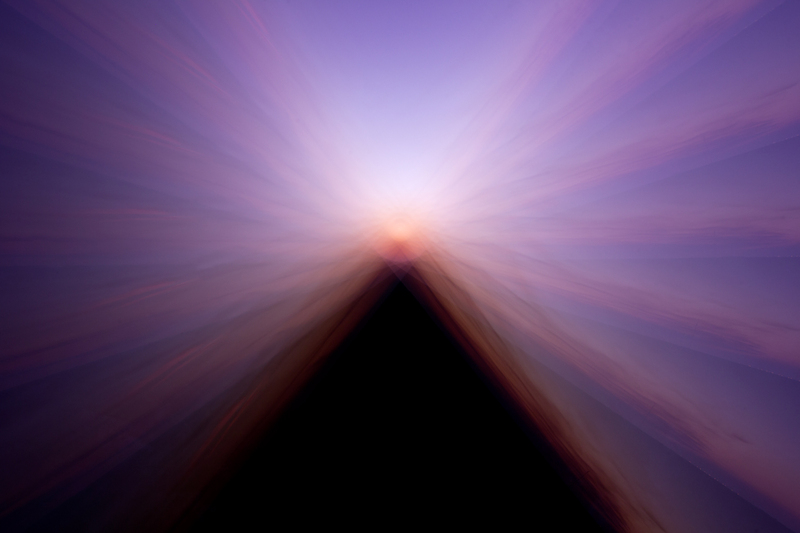 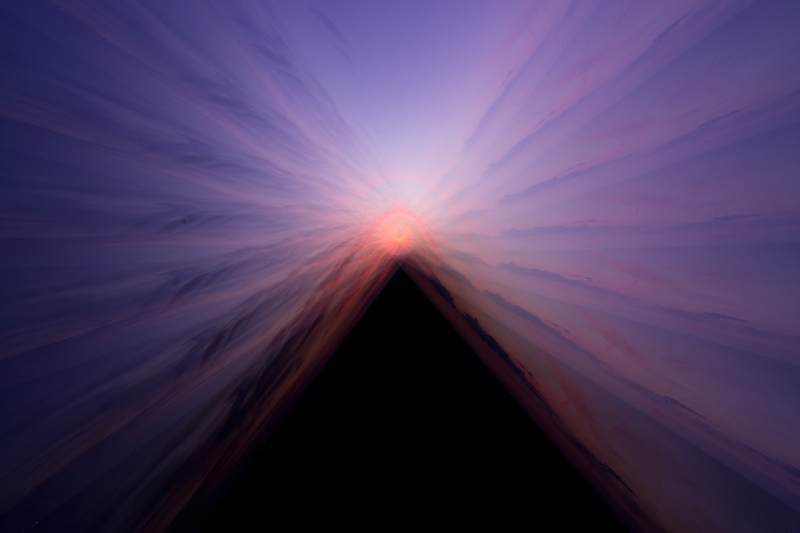 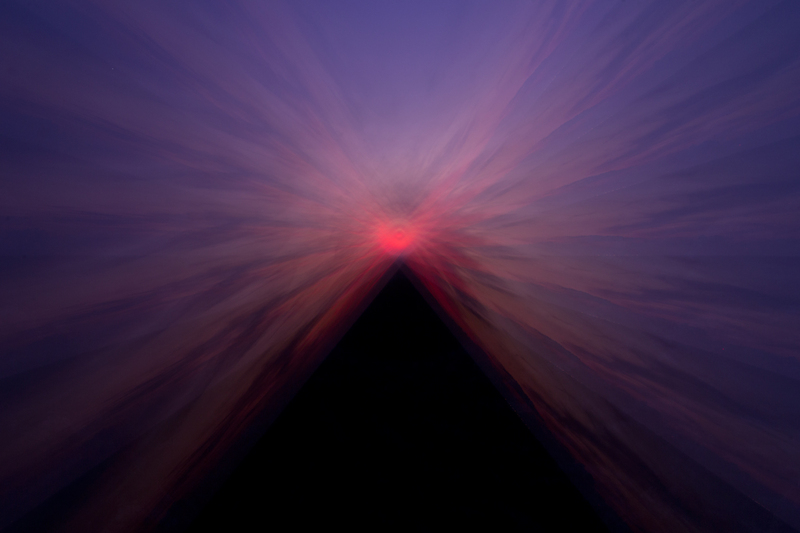 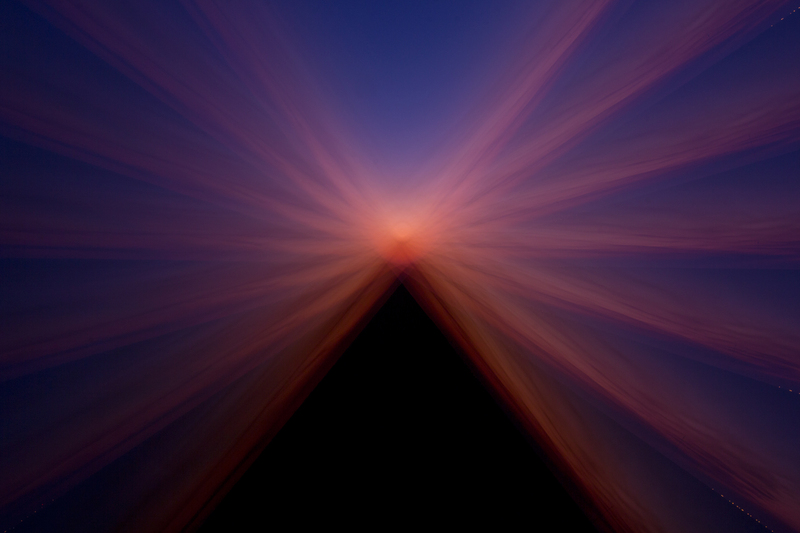 That night started an ongoing addiction to creating “Pyramids In The Sky”. 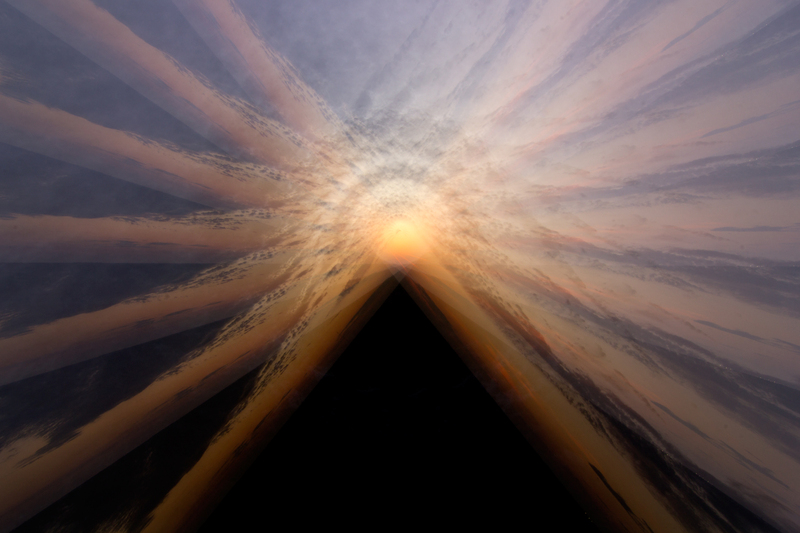 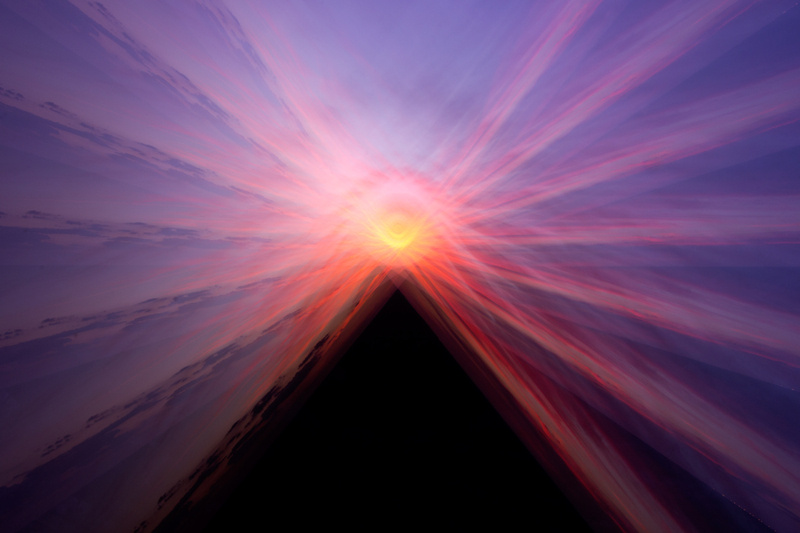 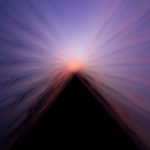 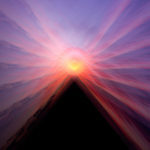 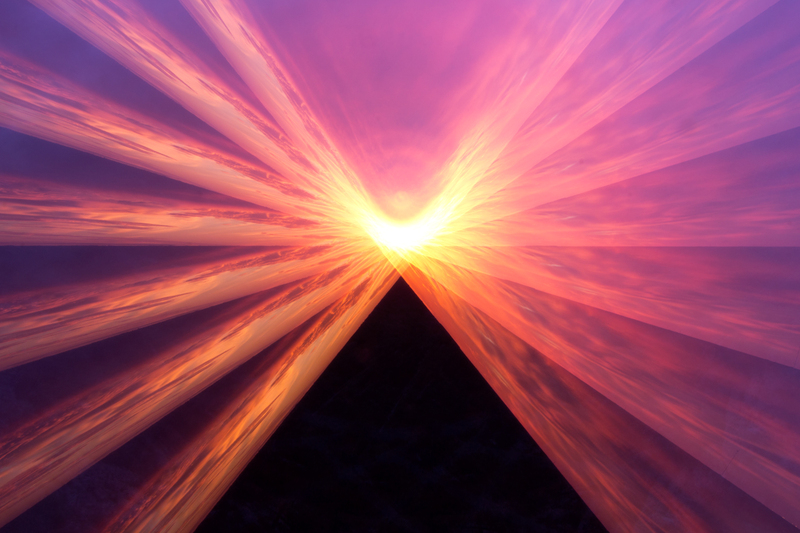 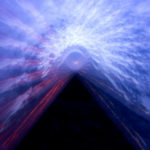 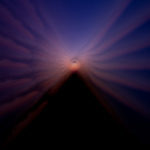 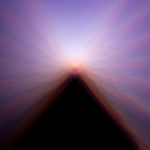 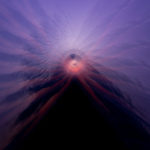 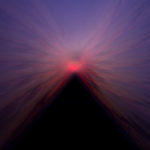 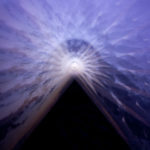 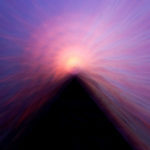 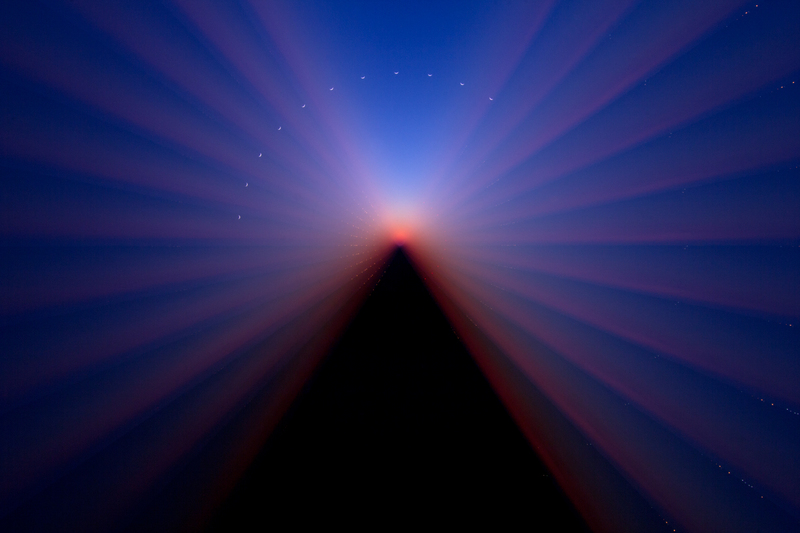 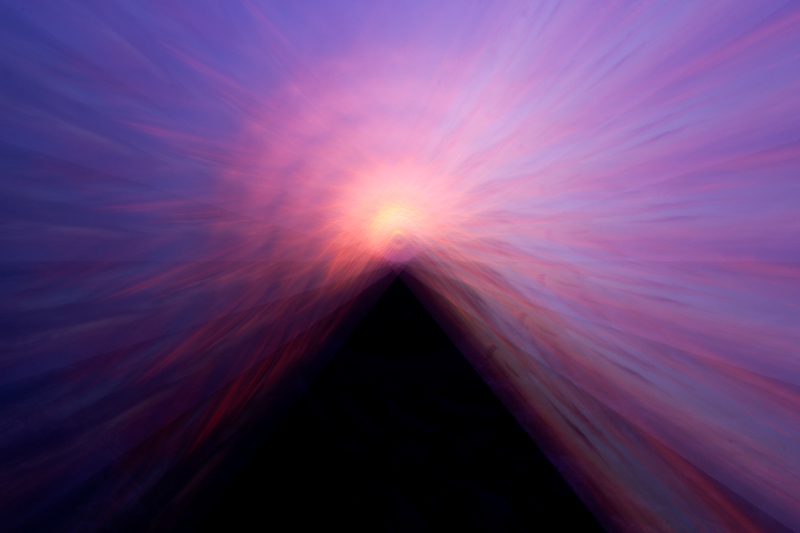 The Pyramids in the Sky series are all created in real time and captured to the camera in one single photographic frame. 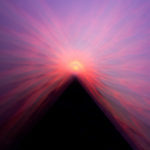 The only light source used to create these images is the ambient light in the sky right at sunset or a little after. 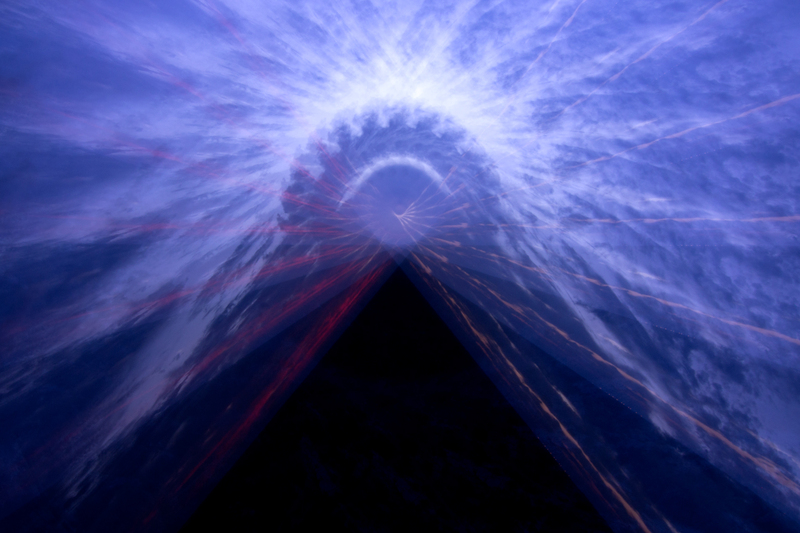 This is a form of Light Painting called Kinetic Light Painting, meaning that the camera is moved to create the design in the frame. 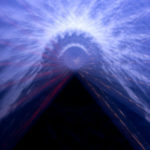 The process for creating these images is fairly simple, I use a custom made CRT (Camera Rotation Tool) this tool was designed by Alan and Chris Thompson. 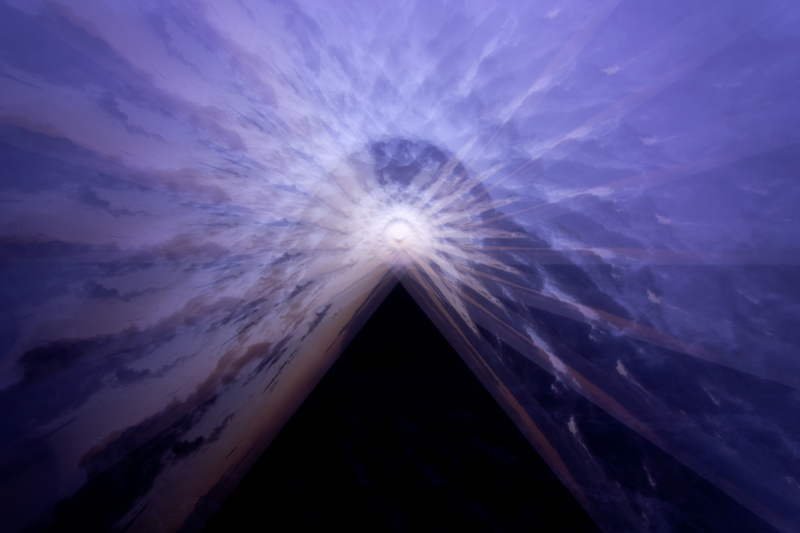 The CRT allows me to move the camera to any angle during a single exposure. 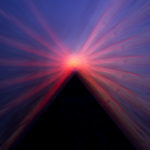 To create the Pyramids I shoot in bulb mode and use a lens cap to control the light coming into the camera. 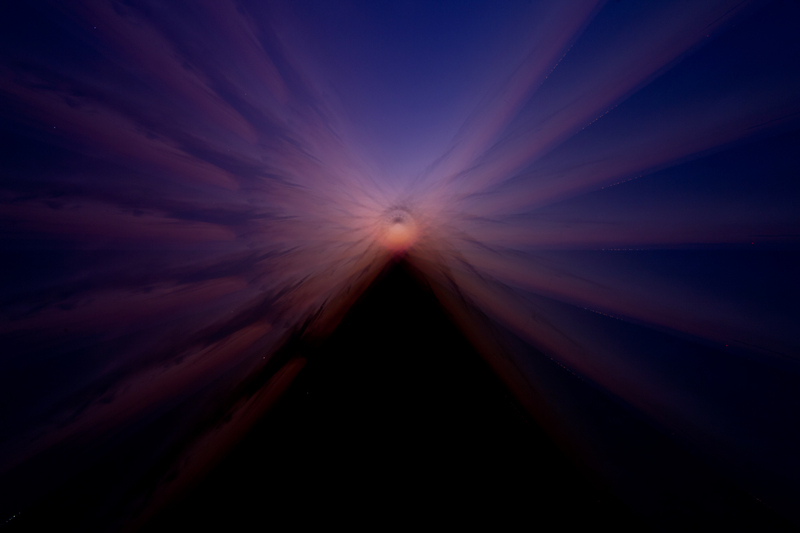 The first thing I do is I find the angle I where I want to start the exposure. 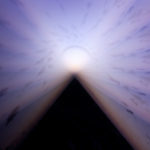 Once I find the right angle I put a cap on the lens and I open the shutter of the camera for a long exposure. 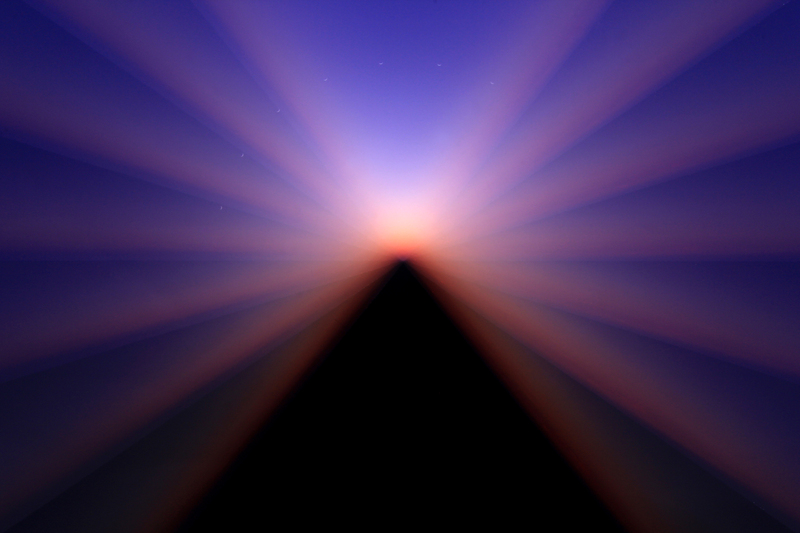 With the exposure running I simply remove the cap to let some light in and then replace the cap to block the light. 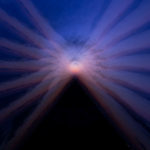 During a single long exposure I turn the camera to the next angle and repeat the process of removing and replacing the lens cap. 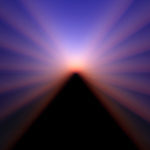 I repeat the rotation and capping process until I have an image that looks like a Pyramid in the Sky that is captured in one photographic frame.. 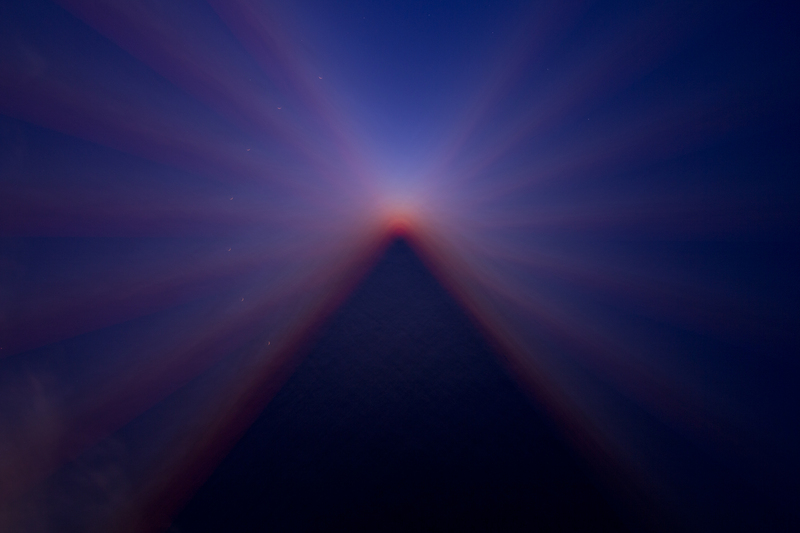 Exposure Times: 18-75 Seconds Average was around 40 Seconds. 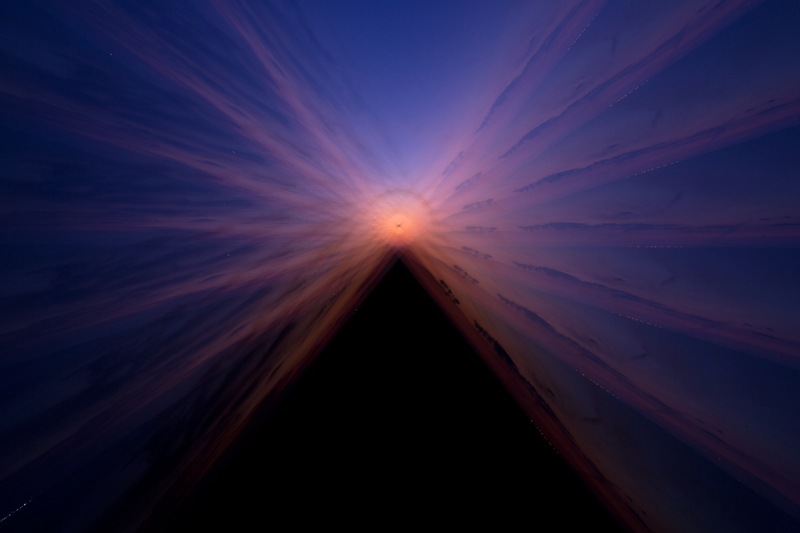 The most difficult thing was to find a location to create the pyramids. 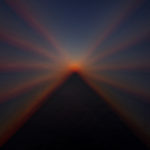 To create them I need a high angle of a clean flat horizon (no city lights) and I needed to have a location where the the foreground was darker than the sky. 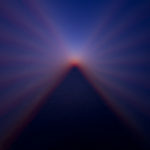 This might sound easy but when you live in South Florida a high angle of a clean horizon is a difficult thing to find. 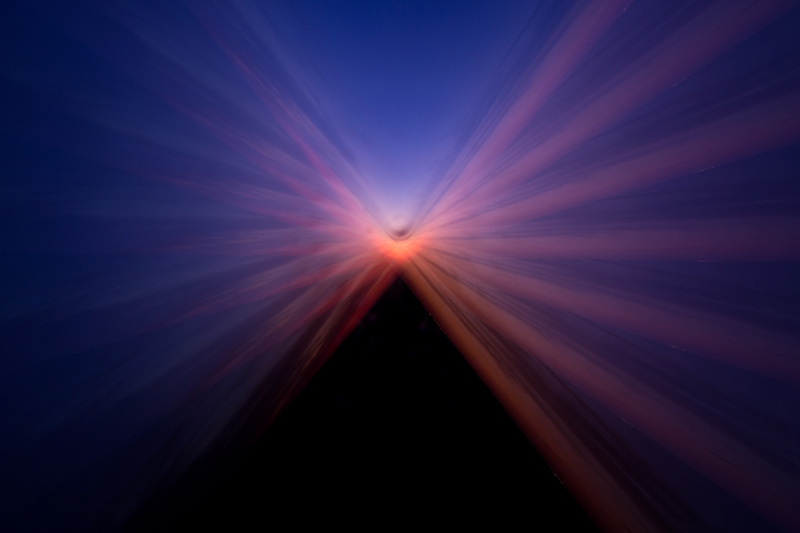 After some long drives looking for location that didn’t work, I ended shooting most of the series from a lookout tower at Jonathan Dickinson State Park. 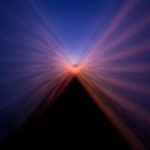 This spot was perfect and it was just 10 minutes from my house, funny how I drove past it 10 times while looking for the “right” location. 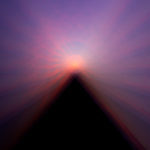 My favorite part of shooting these images is all of the beautiful sunsets I was blessed to witness. 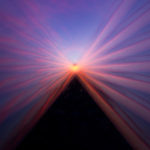 I would talk to people at the tower and most would leave right as the sun dropped below the horizon, the crazy part is that is just when the colors are starting to get good so I would be there alone seeing the most beautiful colorful skies. 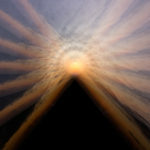 I also really love the interesting patterns the clouds add to the images. 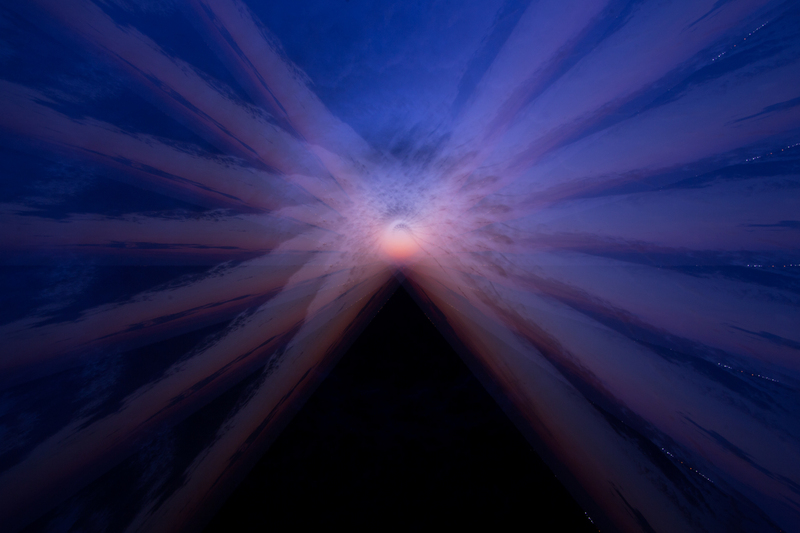 I started thinking I needed cloudless skies to create the pyramids, but I quickly found that the clouds added some incredible features. 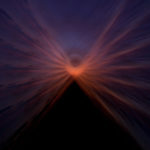 For me some of the Pyramids have the feeling of an Native American Headdress giving them a deeper and spiritual feeling.